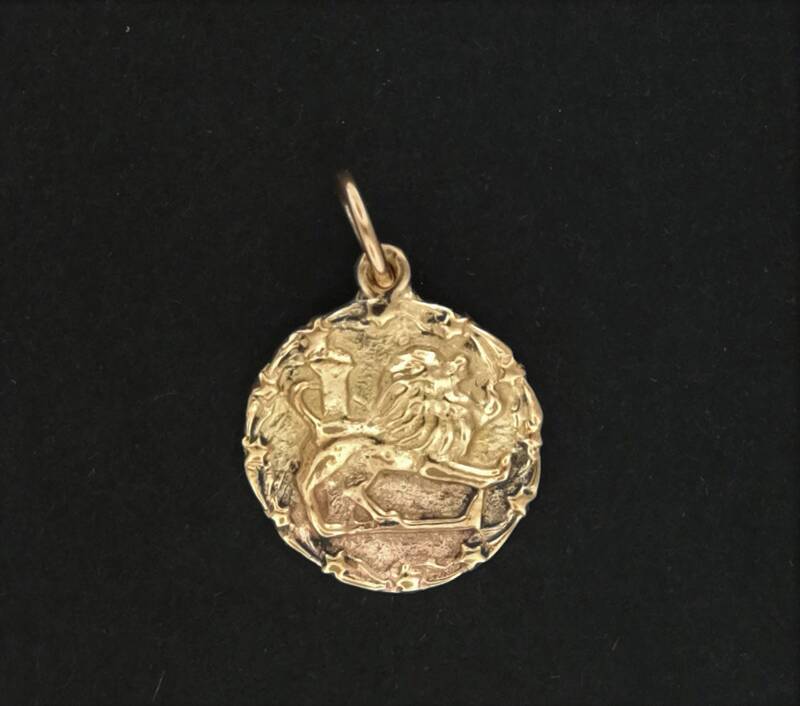 Based on the ones made in the 1950's, this handmade antique bronze pendant is remake of the classic style of zodiac medallion. It has the sign of Leo on the front and textured on the back. 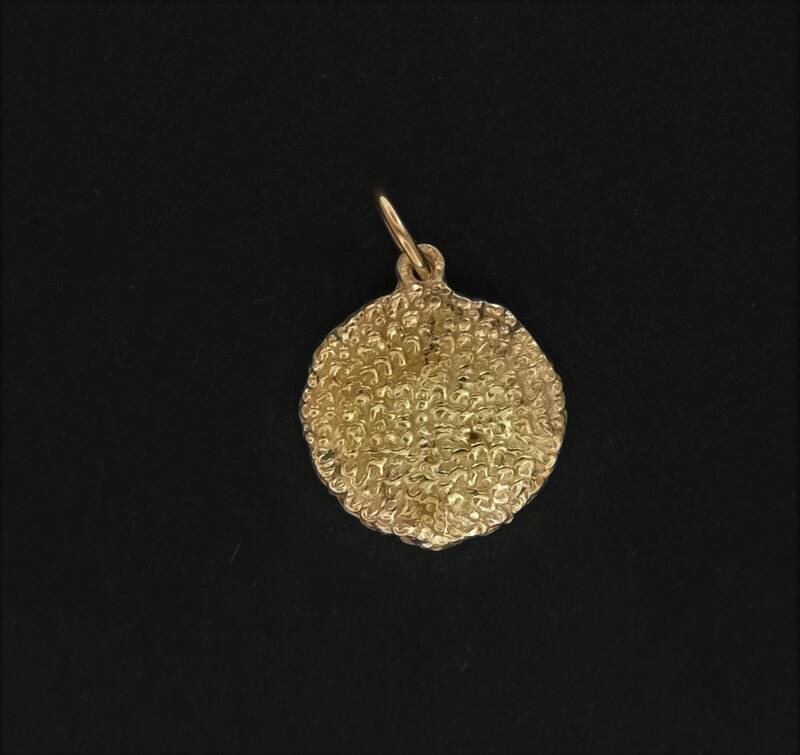 The pendant is 1.5cm wide with a jump ring on the top for a chain or cord. 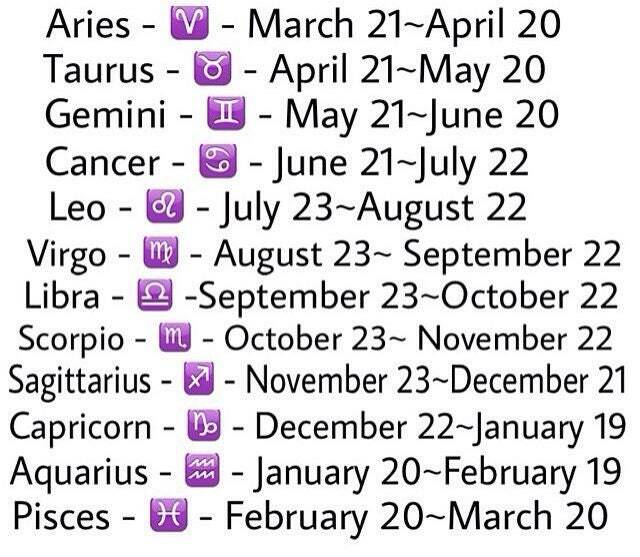 Leo is from July 23 - August 22.
perfect charm! thank you so much!